Recording of the lecture given by Dominique Avon at the Université Permanente de Nantes, as a part of the lecture cycle entitled ‘Philosophie pour tous : la religion’. Summary: The expression ‘freedom of conscience’ appeared during the religious wars between Catholics and Protestants in the sixteenth century. For Michel de Montaigne, ‘freedom of conscience’ meant ‘freedom of worship’. During the following century, the expression appeared more often in German, English and French languages, due to two specific factors: The complaints coming from dissident communities, as the Socinians, against state religions ; Increasingly individual claims for the possibility of being an atheist. Locke (1632-1704), Spinoza (1632-1677) and Bayle (1647-1706) via different paths, brought philosophical and political tools to theorize freedom and its limi. The distinction between ‘freedom of religion’ and ‘freedom of conscience’ that we can find in the Universal Declaration of Human Rights (1948), was set in the eighteenth century and translated into different languages in the nineteenth century, especially in Arabic. It was designed by its promoters as a crucial value of ‘modernity’ and disputed by most religious authorities before being partly adopted or rejected. 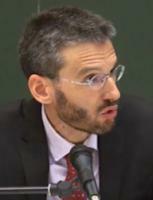 Dominique Avon (IPRA), “Liberté religieuse, liberté de conscience : une mise en perspective historique (en),” Institute of Religious Pluralism and Atheism - Resources center, accessed April 25, 2019, http://ipra.eu/centre-ressources/en/items/show/17.